Every now and then, I meet someone who could not hide his surprise upon receiving my business card. “Is there that much to do in the business of kindness?” is one of the questions politely posed to me. When I mention that there is so much to do that we need 20 fulltime staff to do it, the mild surprise turns into utter amazement. 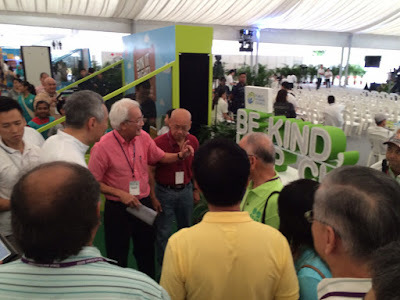 So what do I do as General Secretary of the Singapore Kindness Movement (SKM)? To begin with, I lead. A movement by its very nature requires someone to lead it. 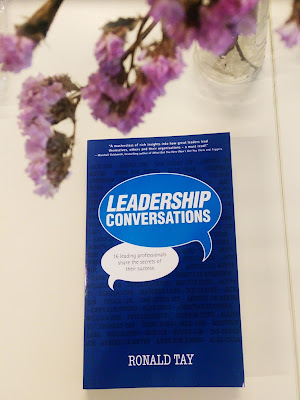 Since taking on this assignment at SKM, I have been featured in two books on leadership. 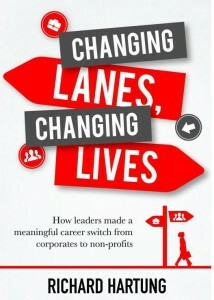 Changing Lanes, Changing Lives by Richard Hartung highlights a number of private sector senior executives who left their profit-oriented businesses to lead not-for-profit organizations. 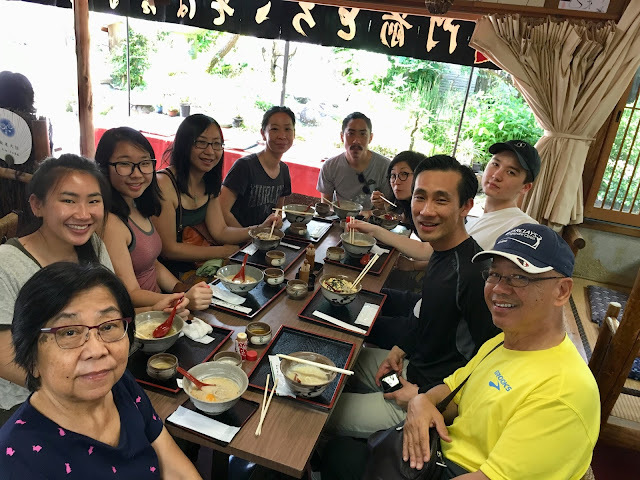 All of us have a common passion, namely to “do good well”, to quote Willie Cheng who wrote a whole book about it, aptly titled Doing Good Well. I am convinced that leadership is even more important in not-for-profit organizations because the motivation is different and keeping the team motivated beyond monetary rewards requires a different kind of leadership. 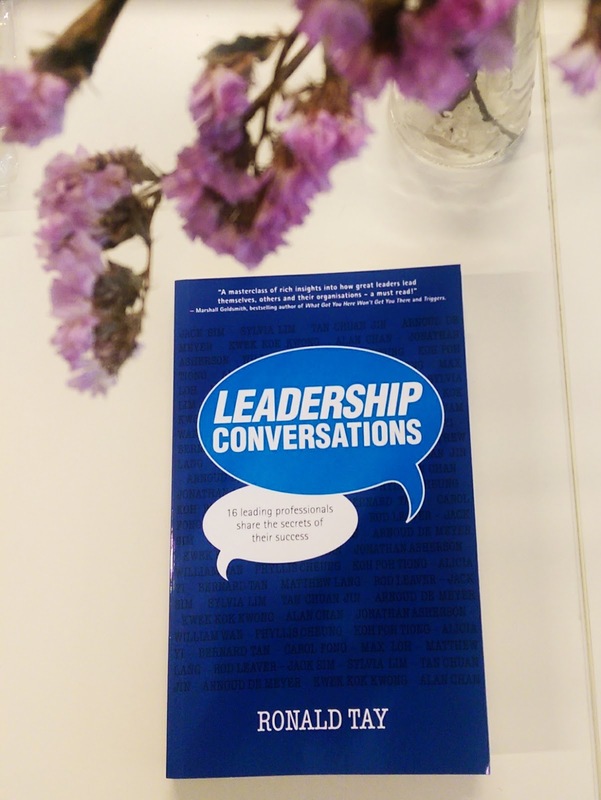 In a recently published book, Leadership Conversations, I was asked what makes a good leader. I opined that “a good leader should love the people he leads, believe in the people he leads and enjoys being with them. You lead because you care and not just to promote yourself. You lead because you really believe in what you do, you believe that your mission is something worth investing in. A good leader must be passionate about what he does, and this passion will rub off onto others. Your followers are more likely to follow you when you are sincere, especially when they also know you care for them and that you are not going to use them. When people realise that they are also the beneficiaries of whatever good you are going to do and that they can participate in it, people are more likely to follow you. 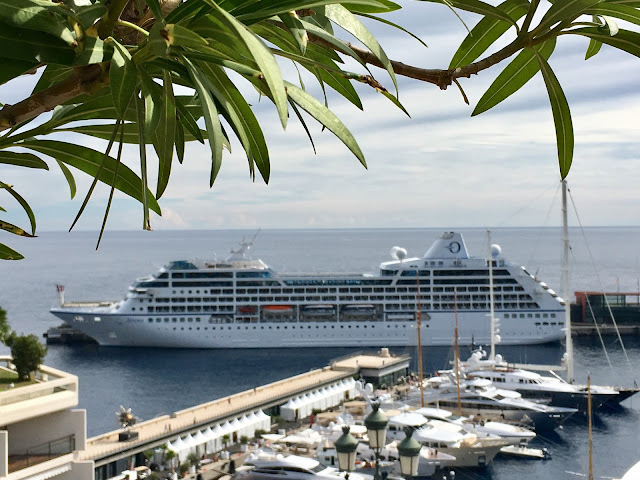 You might be a leading boat in a fleet, but when the tide rises, you have to make sure that every other boat following you rises with you”. But as a leader, I must lead by example. In that regard, I have often said to the team that I will not ask them to do what I am not prepared to do. And believe me, there is a lot to be done in fostering a kind and gracious society. As an advocacy movement, we desire to see more people, individually and collectively, step up and help us champion kindness as a way of life. We also encourage and affirm commercial, civic and government bodies to embrace kindness as a core value. So I speak and write about it, and I welcome platforms to message kindness any way and everywhere. 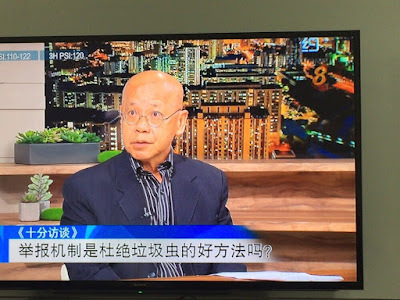 Consequently, I find myself invited to take part in radio and TV Talk Shows, speak at public events and write for newspapers and magazines. My life is especially full because I believe in the principle of reciprocity. This is found in the Golden Rule, namely, to do to others as you want others to do to you. I would apply that to my work in partnership with so many by reminding myself that I need to support others as they support me. This results in spending a great deal of time at events of partners which could be in the evenings or weekends. I looked at my calendar of events between the 19th and 31st October. And this is what I found on my Facebook. 19th October 2015. 5:30-8:00 pm. 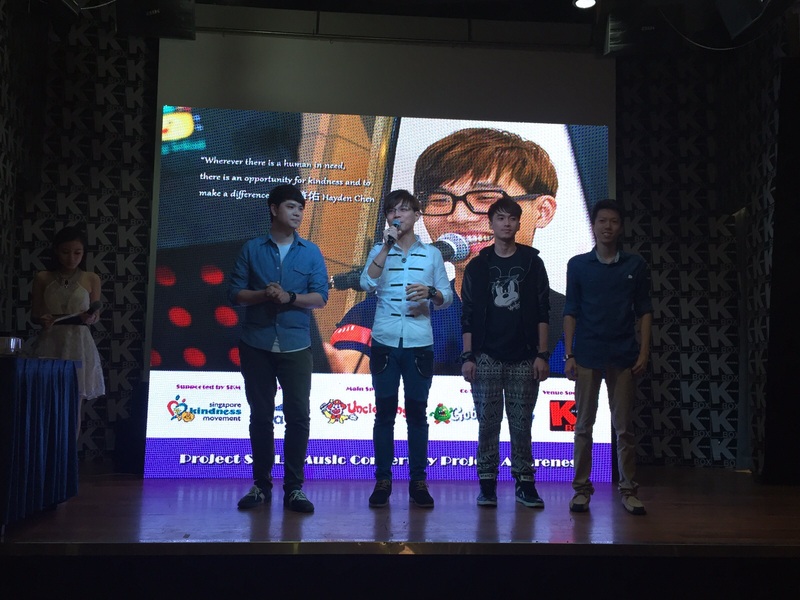 I was honoured to be with Elson Soh and his friends at Project Awareness – Project Smile Music Concert. Elson and his friends have been blessing many seniors with the acts of kindness. At this concert, many seniors were special guests. I made an attempt to sing 月亮代表我的心 with Hayden from Taiwan. We also had a great time singing the Young Ones. Being kind is fun! Elson’s Project Awareness is one of our more than 40 Ground-up Movements helping to foster kindness and graciousness as a lifestyle. 21 October 2015. 6:00-8:00 pm. NUS Graduate student Teo Kah Ming and I were guests of 狮城有约 (Hello Singapore) on Channel 8. She is Pulau Ubin zone captain of the International Coastal Clean-Up Singapore. She is an outstanding example of a young person who is passionate about kindness to the environment and to living creatures sharing our water space. It was a privilege to be on the same programme with her, and did she inspire me! 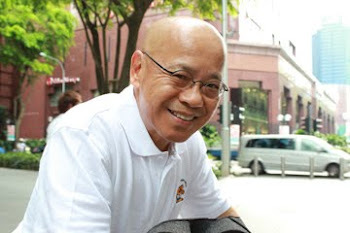 As a member of the Public Hygiene Council (PHC) we are co-founders of the Keep Singapore Clean Movement. I was on the panel on behalf of PHC. We believe that kindness to the environment is ultimately kindness to humanity because when we destroy the environment, we are on the way to self-destruction. 22 October 2015. 4:00-6:00 pm. 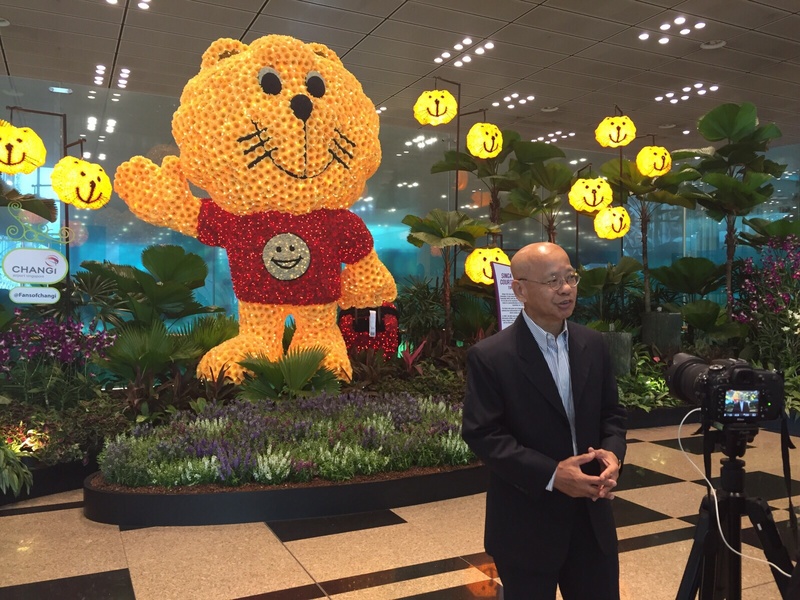 Interviewed at T3 by Changi Airport Group(CAG) to appreciate SG50 Celebration. The video will be part of the history of Changi airport. A 4m Topiary of Singa stands proudly surrounded by Singa lenterns. Singa is iconic and represents the aspirations of all Singaporeans for a kinder and more gracious society. The CAG is a valued supporter of kindness values. The Topiary of Singa was on display for 6 months from May to October in celebration of SG50. We were told that it was a very popular photo-op backdrop for tourists and locals during that period. 24 October 2015. 4:00-6:00 pm. National Kidney Foundation has grown its volunteer capital from 80 to 2,000 passionate caring individuals under the capable leadership of my fellow board member Johnny Heng. We celebrated their kindness today with tokens of appreciation. Patients and Staff has a great time entertaining and affirming each other. Volunteerism is an express of personal kindness to others in need. We encouraged volunteerism at all levels and the Kindness Team members are also encouraged to be volunteers in our stakeholders program as much as possible. 28 October 2015. 10:00-1:00 pm. More than 400 public transport staff recognized for amplifying kindness in performing beyond the call of duty at the Transport Gold Kindness Awards today. I am inspired by staff like Tina, who proactively offered a wheelchair to an elderly commuter who looked unwell, accompanied him on the train to his destination, and wheeled him to his home. That is truly spontaneous kindness at its best. 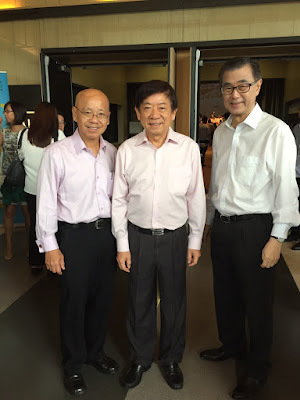 Thanks to Minister Khaw for gracing the event as Guest of Honour. We are partners in this annual award programme with Land Transport Authorities and public transport companies including SMRT, SBC, Comfort Delgro Group, Transitlink and others since 2000. 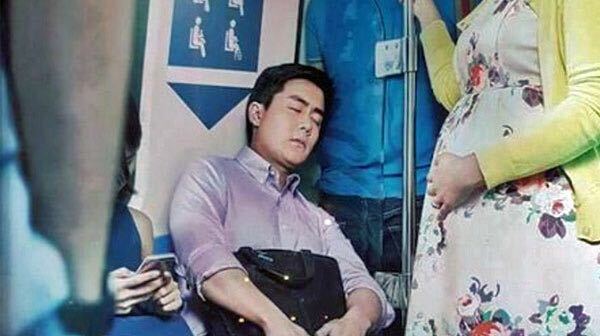 This is an important event for the public transport workers who are often our unsung heroes. It means a lot to them to know that their acts of kindness are not taken for granted. In fact, they are very much appreciated. 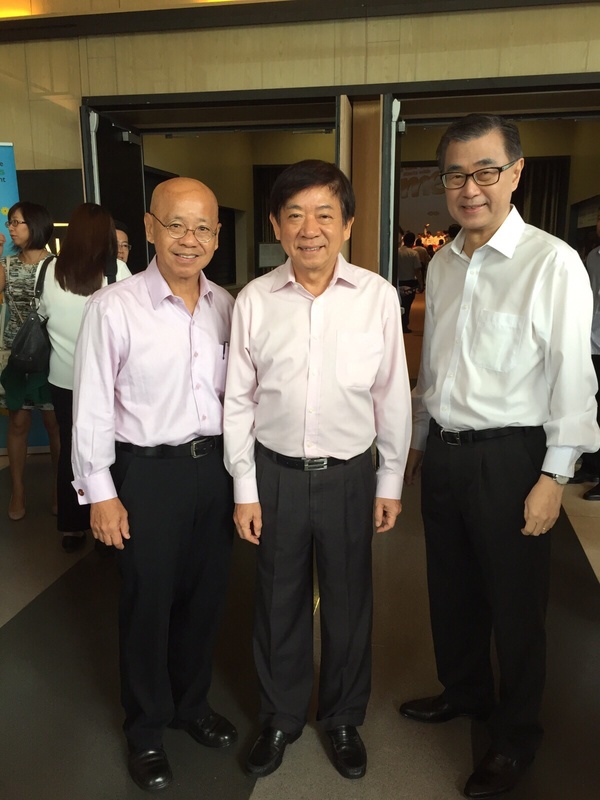 I was at the Singapore Patient Conference 2015 at TTSH celebrating caregivers. The event honoured patient caregivers, advocates, engage initiative teams and support groups. Journalist Basu gave an informative and inspiring talk on caregivers. Behind the “silver surge” (aging population) are more than 210,000 caregivers. More will be needed as the population ages. It is important to affirm these unsung heroes. Last year, I was the Guest Speaker at their inaugural conference. I spoke about the kindness business and the business of kindness. Providing healthcare is a kindness business, but being kind to one another at the workplace and being kind in the way we deliver health services is the business of kindness. It includes affirming kindness wherever found. I was delighted that they affirmed volunteers this year. 31 October 2015. 8:30-11:30 am. I was at the Clean and Green Carnival with Public Hygiene Council colleagues and the Prime Minister this morning. We also launched our jingle by local composer Dezz, “Clean, green and blue; we can’t do it without you!” incorporating the message “Be Kind, Keep Clean.” Keeping Singapore clean and green is possible when everyone owns it. As Chairman of the Communication subcommittee of the Public Hygiene Council (PHC), it was my privilege to facilitate the crafting of the tagline “Be Kind, Keep Clean” and the jingle “Clean, green and blue; we can’t do it without you!” It is very satisfying that the members of the PHC shares the same ethos that kindness and public ownership of a kindness lifestyle is the only way to a sustainable clean and green environment. There you have it. There is much to do in the business of kindness. The truth is, many individuals and organizations are promoting kindness. Our job is to be there to encourage and support them. Just as it takes a village to educate a child, it also takes a whole nation to sustain a kind and gracious society.